Harrod Horticultural may seem like a rather strange garden retailer for us to write a guide about, considering they do not actually sell any sheds, but here at WhatShed we are not just about sheds. We are all about you having the most amazing garden possible and while they do not sell sheds, Harrod Horticultural do sell things like greenhouses, pergolas, arches, cold frames, gazebos and other garden structures like this. Things that we feel really do add a lot to a garden. We know that as they sell so many different products, people are looking for a Harrod Horticultural voucher code or just some other deal that is going to save them a bit of money. That is what this guide is all about. Getting you the best deal possible and helping you know how to keep informed about sales, special offers and other deals that are going on at Harrod Horticultural. We are going to help you know the right ways to save money when shopping at Harrod Horticultural. As well as being a guide that is going to help you save some money and get the best deal possible, we are also going to show you why those sites which claim to have amazing Harrod Horticultural voucher codes are not as good as they seem! We know that if you have come to this page you are looking for a discount code for Harrod Horticultural, as we explain further up Harrod Horticultural dont often issue discount code. As such we thought you might like to see what are some of the best discounts that are currently on offer from other garden building retailers. The best tips that 90% of people who SAVE money at Harrod Horticultural use! Here we have for you the genuine ways you can get a good Harrod Horticultural deal. You do not have to get a map and go on a quest for a voucher code or sell your soul to get some kind of promo. These are easy and genuine ways that you can save a few pounds here and there. As well as looking at ways to save you money, we are also going to give you a couple of tips for keeping on top of what deals and special offers are going on at Harrod Horticultural. Be sure to have a look at their special offers section: The first place you need to go when it comes to getting a Harrod Horticultural deal is their dedicated special offers section. This is actually one of their tabs that they have along the top of the page. Plus they have a few links to it as you scroll down their homepage. They have all kinds of items in here. We would love to tell you that when you go here there is nothing but greenhouses, cold frames and things like that, but the truth is this seems to be a section that changes on a weekly if not, daily basis! So be sure to keep checking back as you never know what is going to be here. TIP TWO: Hear About Their Exclusive Offers First! Sign up to the Harrod Horticultural newsletter: We always recommend that you sign up for a retailer’s newsletter and the Harrod Horticultural newsletter is no different. If there is a Harrod Horticultural voucher code out there then this is where it will be revealed first. Their newsletter specifically says that they will give you exclusive deals and they write exclusive in all capitals so we know they are serious! It is very easy to do, just give them your email and then when they do have some kind of special offers or sale happening, you will be one of the first people to know about it. Most of the money saving sites we have listed down below will get their information from this newsletter, so do not wait for them to pass it on, sign up for it yourself. Like them on Facebook to see the latest deals: If you want to take a break from arguing with strangers on Facebook, then you can use it to see if there are any Harrod Horticultural deals happening. Their Facebook page is actually a lot of fun and even before we get to the deals and Harrod Horticultural voucher codes, we want to tell you that they have all kinds of great gardening tips here. Also they have some awesome competitions like one a little while back where they would basically kit out your whole garden. If there is a sale happening or even a promo code then they will certainly heavily promote it here. You can win vouchers and get a free gift: Is this really a money saving tip? Well not really, but we feel that it is worthy of a place on this list. You see if you recommend a buddy or if a buddy recommends you, then Harrod Horticultural will enter you in a completion where you can win a load of Harrod Horticultural vouchers. As well as this the person getting recommended will get a free gift. They do not say what it is, but a free gift is a free gift! So if you have a friend who has used Harrod Horticultural before, get them to recommend you before you purchase something. They have a really good Twitter account: Twitter is great. You can look at celebrities and people you had a crush on from high school. You can also use it to save a little bit of money. If there is a Harrod Horticultural voucher code or special discount out there, then it is going to be posted on their official Twitter page. This also has a lot of tips and great pictures that will give you some great ideas for your garden. Also, Harrod Horticultural like to run competitions and this is where they will post about them. You can bet that if Harrod Horticultural do have a sale going on then, Twitter will be one of the first places that they announce it. A round-up of all the current Harrod Horticultural voucher codes we found online. We really like Harrod Horticultural and feel that they have a great selection of items for your garden. We do see them more of a retailer for people who are into growing things rather than a straight up garden building retailer, but there is no denying they have a lot of awesome stuff on their site. The fact that they do have such a broad range means that when you do find a money saving site that offers Harrod Horticultural deals, you will most likely have to sort through deals for seeds, plants and other things like that before you even get close to one that is for a greenhouse, pergola or something like that. It can be a real chore and at the end of your search, you will not save a penny more than had you just gone to Harrod Horticultural directly. We used Google to find the most used money saving sites when it comes to Harrod Horticultural. We looked high and low and came up with this list of sites. We are going to tell you exactly why going to these sites before you go to Harrod Horticultural is a waste of your time. The search terms we used were: Harrod Horticultural Voucher Codes, Harrod Horticultural Coupon Code, Harrod Horticultural Current Discounts, Harrod Horticultural Discount Codes and Harrod Horticultural Sale. Most Money Saving Sites Just Use The Harrod Horticultural Newsletter! This is something that we touched on before. But we noticed that the majority of these sites we have listed down below just recycle the exact same things that Harrod Horticultural tell you in their newsletter. You will not get any exclusive deals or Harrod Horticultural voucher codes by going to these sites first. All the deals that you will see from these sites are ones that can be got by just dealing with Harrod Horticultural directly. There are usually a couple of different Harrod Horticultural promo codes that will either give you something free or knock a small percentage off your overall price. These money saving sites hammer these codes into the ground and try to make it out like they are the ones who came up with these codes and that they are exclusive to them! What they claim? We have looked at Voucher Codes many times and when we first got to their Harrod Horticultural section we noticed they had a lot of deals here. They claim that the codes they have here are valid for the current month you are looking at their site. What We Found? We had to spend quite a bit of time here as they do have a lot of Harrod Horticultural voucher codes and deals. One thing we noticed was that there is a mix of deals that are just listed on the Harrod Horticultural site and links that are just for random products. The thing that we do not like is the way that some of their codes are the better part of a year old and to be fair they do disclose this, but it is in very small writing so it is hard to see. MyVoucherCodes.co.uk – Some codes do not work! What they claim? My Voucher Codes do claim that they try to keep their Harrod Horticultural page up to date. They specify that there codes are valid for the month that it is which is something most of these money saving sites do. What We Found? There are not actually a whole lot of Harrod Horticultural deals listed on this page. Some of them are actually valid and we applaud them for that, but we tried some of their other ones and they are either expired or just do not work. This makes using this site a rather frustrating experience. You would be much better just going to one of the social media accounts of Harrod Horticultural as even the deals that are valid here will be posted on there and would have been posted their first! What they claim? The fact that Money Supermarket ads are on the TV and radio at least 350 times a day is reason enough for them to be on this list! But to be fair we will look at their Harrod Horticultural section with an open mind. They do have a dedicated section and the deals and codes that they do have they claim are all current. What We Found? We gave most of the current Harrod Horticultural voucher codes that the have here a try and we knew they would work. The reason for this is that they are the same ones Harrod Horticultural will send you in their newsletter! That is fine at least they do have valid codes here, but Money Supermarket also have over 5 pages of expired codes! Why do they not just delete them? Please do not waste any time at all looking through these pages as not one of these deals will work. Sadly far too many people get tempted and actually try these codes. What they claim? One of the things that Voucher Bin do is tell you what the average savings are when it comes to using their site. They say it is £62, but they do not say if this is for Harrod Horticultural or just their site in general. When it comes to their Harrod Horticultural deals they do claim that they have current deals that are valid for whatever the month is. What We Found? Ok so we will be fair and say that some of the Harrod Horticultural voucher codes they have listed here are the current ones, but they also have links that are just totally pointless. A great example of this is Purchases For £6 Or Less which when you click just takes you to a random can of slug killer! There are far too many links like this here that seem like they have just been used to make it look like they have more deals than they really do. What they claim? In all fairness to the folks at UK Promo Pro they do not at first make any bold or wild claims. They just have their Harrod Horticultural voucher code section which has deals and codes and that is that. They do not give you a big sales pitch why their codes are the best and at this point in our guide that is very refreshing to see. What We Found? Ok the first thing we noticed was the deals that are actually current all use the same promo code! They just word it in different ways to make it look like they have more offers than they really do. Worst of all is that they have a section of expired Harrod Horticultural deals. Now these deals are very close to the current ones so if you are scrolling down it would be easy to click on one of these thinking it is valid. They even say that these codes might still work. We can tell you that they will not work all they will do is waste your time so please just go straight to Harrod Horticultural and get a deal direct from them. What they claim? Voucher Box have one of the largest selections of Harrod Horticultural voucher codes of any money saving site on this list. There is pretty much a whole page of them here and all of them according to Voucher Box are valid for whatever the month is you are looking at their site. What We Found? We had a really good look at the Harrod Horticultural deals here. 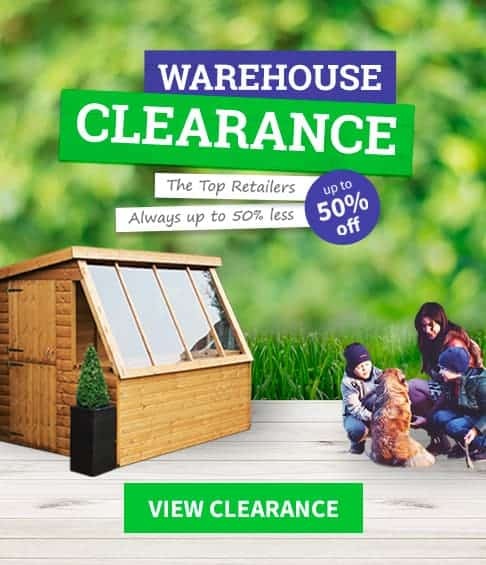 Now to be fair to Voucher Box a lot of these deals are actually valid and are promotions that Harrod Horticultural are running right now, but they do repost many of the same deals, but worded in different ways. They also have these random deals that are for a product which will just take you to the home page. Nothing really offensive here, but you may have a frustrating experience looking through all the different deals that are posted here. What they claim? 360 Voucher Codes have a large list of deals. At the very top they do claim that the Harrod Horticultural voucher code and deals that they are current for this and the following month. Also one thing they do that we really like is they will tell you when each individual deal was posted. What We Found? As you would expect, we did find that 36 Voucher Codes do have the current Harrod Horticultural deals. They have a ton of different deals listed here and as we were scrolling down, something made us stop and scroll back up. You see they have some expired codes right in the middle of their valid ones! We cannot fathom why they would do this. It makes no sense at all and just means you run the risk of getting messed around by a deal or voucher code that expired over a year ago. What they claim? You know when we came to the Harrod Horticultural section of the Voucher Cloud site, we were pleasantly surprised by the fact they do not do a lot of bragging. They do say that the codes, deals and offers they have are current, but that is all. Then it is straight into the deals. What We Found? It did not take us long to look at all the Harrod Horticultural deals that are on Voucher Cloud as there is not many of them. Now this is actually a good thing as the deals they have are the current Harrod Horticultural voucher codes. But they just list them once and do not just reword them to trick you into thinking they have more than they do. If all the money saving sites did this then writing this guide would be a lot easier. While the deals are valid there are no extra savings here, so you would still be better just going straight to Harrod Horticultural. What they claim? You do not get a whole lot of bold claimed from Deals Daddy. They do say that they have popular Harrod Horticultural promo codes and deals, but most of their intro is about Harrod Horticultural as a company. What We Found? There are quite a lot of deals here for you. Some of them we will tell you are legit as we have seen them on the Harrod Horticultural newsletter, but to pad this section out they have links to random products. The worst thing is these products are not even on sale! They are literally just links to random products. What they claim? We are sure that most of you have heard of Groupon as they are one of the major money saving sites, but they do not have an annoying as hell advertising campaign like some of the other larger ones do. They do not make any claims they just present to you their Harrod Horticultural deals and let you have a look. What We Found? The first few deals you see here are actual Harrod Horticultural voucher codes. Now these are the current codes that pretty much every money saving site under the sun has so we can tell you that these at least are legit. They also have links that will just take you to random sections of the Harrod Horticultural site. So they claim there is a archways sale, but when you click on it you are just taken to the archways section of the site.